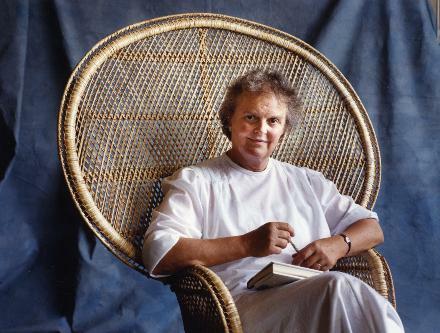 I want to use this post to mark the passing of an extraordinary woman, Carol Bly, whose writing and teaching has had an impact on a great many people. As I remarked to a friend, she is one of those who, faced with the inhumane excesses of our age, put her foot down firmly, and declared “No more.” But she also knew that resistance and refusal is not enough. In everything she wrote she strove for illumination and understanding so that she could perfect her resistance to what she called “The Bully Who Rules the World” and change him. I met Carol when, at the instigation of Linda McCarriston we were on a panel together at the Associated Writing Programs conference in Albany years ago, and I had the pleasure, the challenging pleasure, of continuing to correspond with her in the years since. She was the first to say “No more” to those funny emails quipping about Bush’s lack of intelligence, all those smug jokes about his being a buffoon. She pointed out that intellectuals always respond to the rise of tyrants by sneering in ways that make us feel superior and further disempower us by widening the gulf betwen ourselves and those to whom the demagoguery is designed to appeal. I stopped forwarding that stuff right away. She was dead on. As she was about a great many things, large and small. Read her stories and you will never again be suckered into any kind of nonsense about how art cannot be filled with moral fervor, passion, and commitment. Here is the obituary from the Minneapolis Star Tribune. If you do not know this writer, you should start with her book of stories, My Lord Bag of Rice. The author and teacher was known for her strong moral voice in short stories and essays. True to form, Carol Bly stood stalwart against the dying of the light, dictating letters and thank-yous to friends, readers, well-wishers and fellow writers even in her final days. The lioness of Minnesota letters died Friday of ovarian cancer, surrounded by family and caregivers at the Pillars Hospice Home in Oakdale. She was 77. Bly, of St. Paul, had a milelong curriculum vitae that reflected a lifetime of writing, teaching, mentoring, editing and pamphleteering — even designing personalized crossword puzzles. She was formidable — a tall, three-masted ship of a woman who could, in person or on the page, slice cleanly through pettiness, cruelty, shoddiness, dissembling or wrongdoing. Anyone engaging her in a casual “hello” could expect to be conscripted into action. She was equally funny, Holm said, recalling a dinner party at which Bly assured a picky eater that the “ram’s milk” he was drinking from her farm was 100 percent organic. It took a while for the joke to sink in, Holm said. Bly was born in 1930 in Duluth, Minn., to Russell and Mildred McLean. It was a childhood shadowed by war (all three of Bly’s brothers were in uniform during World War II) and her mother’s suffering (Mildred McLean died of tuberculosis when Carol was 12). She married Robert Bly in 1955, and the two joined forces against the Vietnam War, Watergate, nuclear testing and other issues in their own writings and a series of magazines they published together: The Fifties, The Sixties and The Seventies. Their farmhouse in Madison, Minn., was an international hub for writers, poets and translators of every kind. Holm was a frequent visitor, as were James Wright, Donald Hall, Lewis Hyde, Louis Simpson, Tomas Tranströmer, Fred and Freya Manfred and many others. Though they divorced in 1980 after 25 years of marriage, Robert and Carol remained civil toward one another and would brook no bad-mouthing of the other from outsiders. After her divorce, Carol Bly moved to St. Paul, and ramped up her teaching and writing career. Of her father, she once wrote: He was “more moral than social climber.” The same could be said of the daughter. In her writing, Bly stood her ground against “professional killing,” genocide, the bombing of whole cities, “rabbity” obedience to authority and individual and corporate bullying. She believed that writers and readers had a duty beyond entertaining and being entertained, and explored this idea fully in “Changing the Bully Who Rules the World.” In the ambitious, 550-page book, selected essays, stories and poems — by Will Weaver, Charles Baxter, Denise Levertov and Jim Harrison, among others — serve as take-off points for discussions about moral and ethical stage development. In her fiction, the often brave and sometimes despicable characters are drawn from the hardscrabble towns and farmhouses of rural Minnesota and the meaner streets of St. Paul. Among them are a nursing-home resident who defiantly heads into a blinding snow, a mortician whose father has trained him never to emote, an abused wife who refuses her dying husband his morphine, and a skinflinty rooming-house landlady who perceives the smallest gift to be a bribe. Bly is survived by daughters Mary Bly (Alessandro Vettori) and Bridget Bly (Benjamin Bly), both of Summit, N.J.; sons Noah Bly (Karen) and Micah Bly (Chiemi), both of St. Paul; brothers John W. McLean of Tucson, Ariz., and Malcolm McLean of St. Paul; eight grandchildren, and numerous nieces and nephews. A memorial service is planned for early 2008.